Peter Bryer: Mobile Foresight: The 15 Euro handset. Impossible level 1 reached. Now get mentally prepared for impossible level 2: the 15 Euro smartphone. The 15 Euro handset. Impossible level 1 reached. Now get mentally prepared for impossible level 2: the 15 Euro smartphone. Chew on this if you dare. About six years back or so, I recall speaking to one handset industry executive who predicted that trade prices of handsets from major vendors could never go below $25. That was the predicted floor for a handset from a top-tier vendor. "The battery and the box alone would always add $20 to BoM" was the reasoning. Yet here we are: for your consideration, please see the story about Nokia's new €15 handset aimed at developing markets. 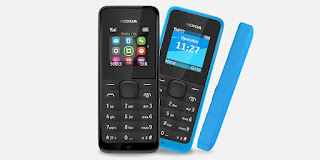 The Nokia 105 has a color display, up to 12.5 hours of talk time, is dust and splash proof, has a built-in flashlight, and even a few games. So, the impossible has been reached. What's next? It's time to get mentally prepared for the €15 smartphone. It sounds impossible, I know. The display and processor alone will always add more to BoM than such a price. But as a scenario-building exercise, device vendors should think about the impossible. If the ASP of smartphones begin to reach bubble-gum machine levels, how will today's mainstream vendors cope? Business development teams had better have their thinking caps on. Opportunities exist on the other side of the screen, but they aren't easy to find and often harder to monetize. The smartphone market is reaching new lows. Are you ready? 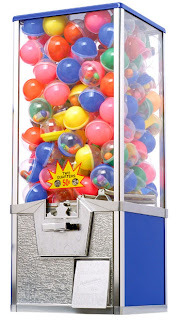 Average-selling prices are reaching gum-ball machine territory.